Thank goodness we don’t have to hear Newt Gingrich for a while. His statement that the Palestinians were an “invented people” marked about the lowest point in the Republican-Christian Right-Likudist/Israel relationship. So deep has this pact now become that you can deny the existence of an entire people if you want to become US president. It’s time, surely, to take a look at this extraordinary movement, to remind ourselves – since US “statesmen” cannot – just what its implications really are. Did Obama and Clinton or anyone else pick up on this reverent memoir, indeed the only quotation from any of Netanyahu’s meetings which he chose to mention at the UN? For this is the rabbi who viewed himself as a messiah and whose followers stood behind Netanyahu in his successful 1996 election campaign. 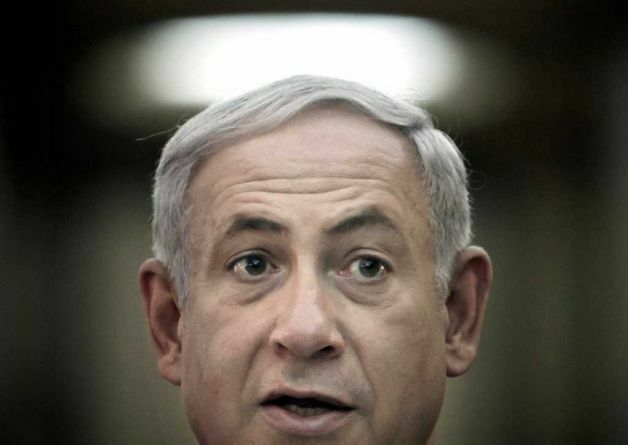 Only Sefi Rachlevsky in the Israeli newspaper Haaretz appeared to spot the significance of Netanyahu’s remark. And so the ghost of Goldstein slid into the UN, the doctor who put on his IDF uniform to enter the mosque of Abraham and slay 29 praying Arabs before being almost torn to pieces. His grave, in the neighbouring settlement of Kiryat Arba, is today treated by his admirers as a shrine. But, for the Prime Minister of Israel, the “crocodile” was militant Islam. Of course, Netanyahu can lavish praise on whatever oddball he wants – his predecessors, Menachem Begin and Yitzhak Rabin, officially received a Lebanese militiaman called Etienne Saqr whose civil war “Guardians of the Cedars” routinely mutilated Palestinian prisoners before putting them to death, and whose motto was “it is the duty of each Lebanese to kill one Palestinian” – but something very dark was getting loose here. The Israel of socialist kibbutzim and phoenix-like power, of honour and renewal that the world believed in after the Second World War, had vanished. What came in its place? The Arab Awakening has allowed us to avoid this all-consuming question. That Israel has “veered to the right” (as if it might soon “veer” back to the left) has long been a sop phrase for American journalists – though it’s not long ago that one of them was instructed to refrain from referring to a Netanyahu cabinet as “right wing” on the grounds that this upset his paper’s Jewish readers. The presence of Avigdor Lieberman as foreign minister – Nicolas Sarkozy has many times beseeched Netanyahu to get rid of him – is proof of that; it would be difficult to find a better Israeli “match” for the crackpot president of Iran, Mahmoud Ahmadinejad. But something far more worrying is taking place. In the United States, where Netanyahu received so many standing ovations from a Congress that apparently thought it was the Knesset – far more ovations than he would ever have received in the real Knesset in Jerusalem – Israel is increasingly relying on the support of Christian fundamentalists. This support has now coalesced with the Republican Party against Obama – whose grovelling to Netanyahu has won him no new friends – so that over recent years, the Israeli-Palestinian conflict is routinely used to attack the Democrats. Having once been sustained by the progressive left, Israel now draws its principal support from right-wing conservatism of a particularly unpleasant kind. Christian evangelicals believe that all Jews will die if they do not convert to Christianity on the coming of the Messiah. And right-wing racists in Europe – the most prominent of them being Dutch – are welcome in Israel, while the likes of Noam Chomsky and Norman Finkelstein are not. Not a word about this from the would-be Republican candidates and their followers these past few days. Governor Rick Perry has long accused Obama of “appeasement” in the Middle East, and former New York mayor Ed Koch has never withdrawn his claim that Obama “threw Israel under the bus”. Mitt Romney has said that he wants “to increase military and intelligence co-ordination with Israel” – as if the US hasn’t been handing out aircraft and billions of dollars to Israel for decades. What chance do an “invented people” have against this?